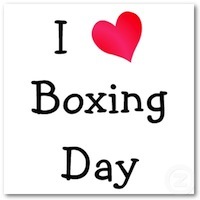 Boxing day is coming really fast and a lot of stores have already started to announce their deals for December 26th. There are even a lot of stores that are having pre-boxing day sales going on at the moment for us to enjoy great savings. So this feature is to help you find the best deals out there on Boxing day to ensure you will get the best value for your money. We’ll keep this page updated with all of the latest offers from our most popular Canadian stores, so keep an eye open on this page and find with a single click all the Boxing day sales going on. Find all the details of the best boxing day offers on Clothing & Accessories, Electronics and Home & Garden. And as always, if you know of any other great boxing day sales please make a comment to share with our fellow bargain hunters.